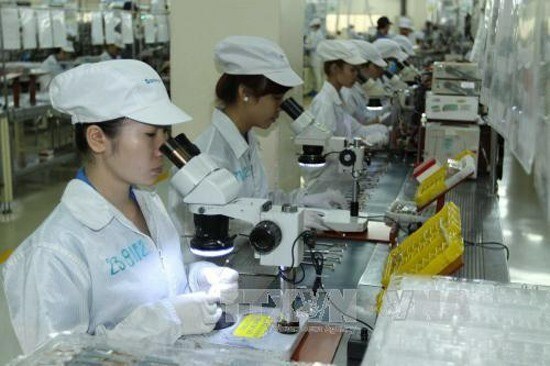 Vietnam should have savvy foreign direct investment (FDI) policies that direct capital to modern and environmentally friendly technologies and promote technology transfer to make local firms more competitive, experts say. They say it is a good sign that the manufacturing and processing industries are drawing significant FDI sums. 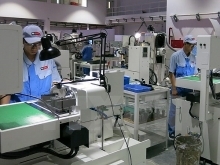 Statistics compiled by the Vietnam Foregin Investment Agency show that in the first quarter of this year, nearly 85 percent of registered FDI, or 6.54 billion USD, went to manufacturing and processing industries. According to Tran Van Tho, economics professor at Waseda University, Tokyo, FDI has a significant role to play in promoting domestic industries and driving economic growth. “However, if Vietnam does not have wise FDI policies, the economy will be at risk of depending heavily on foreign companies and domestic firms will fail to accumulate resources like technology and capacity,” Tho was quoted by a recent Vietnam News Agency report as saying. He said this might lead to distortions in the economic structure in the long term and the industrialisation process would not be sustainable. “External force is important but it is the inner force that decides,” Tho said. He said that Vietnam’s industrialisation process was currently heavily dependent on foreign investment, but the FDI sector was not closely linked to the national economy. Tho citied statistics showing that FDI accounted for 50 percent of the country’s industrial output and 70 percent of exports. Some export products, like mobile phones, were solely FDI. He said that Vietnam would need to have policies that encourage FDI inflow into high quality hi-tech production and technology transfer. Nguyen Thi Tue Anh, Deputy Director of the Central Institute for Economic Management, said that the FDI sector was not linked closely with domestic firms, which hinders technology transfer. At the same time, domestic firms had not engaged deeply with the supply chain of the FDI sector in Vietnam. “It is important that FDI attraction is targeted at promoting technology transfer and improving competitiveness,” Tue Anh said, adding that policies should direct investment to environmentally friendly and hi-tech sectors. “Rapid globalization and the fourrth industrial revolution requires Vietnam to be selective in FDI attraction, with a focus on quality rather than quantity,” he said Other experts, meanwhile, said it’s time Vietnam focused on attracting investment from giant corporations in the world. However, the problem is that the licensing of many FDI projects is now under local authorities, with the result that many poorly-performing projects have been approved. This showed that the Government should act fast to issue regulations that direct FDI attraction and other mechanisms towards enhanced supervision and project efficiency, Mai said.